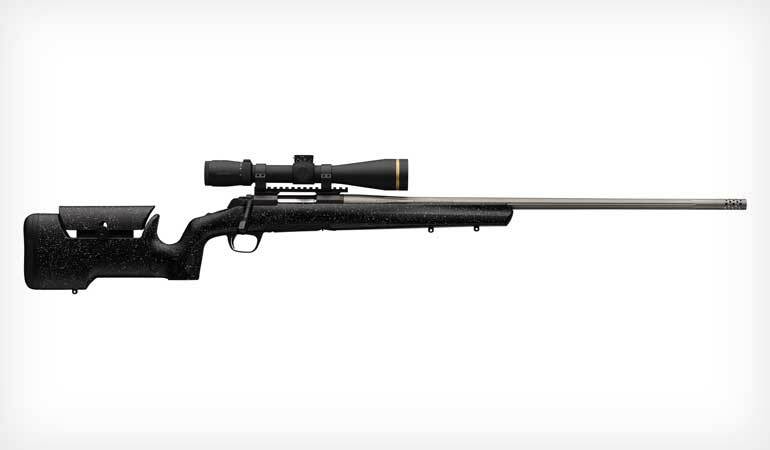 Browning's new X-Bolt Max Long Range rifle is an accurate rifle tailored for long range accuracy. The new, composite Max stock, along with a number of other features, is designed to help maximize long-range shooting accuracy. The adjustable comb allows the shooter to dial-in optimal eye-to-scope alignment, which is useful when using large diameter optics and Picatinny rail scope bases with built-in elevation. 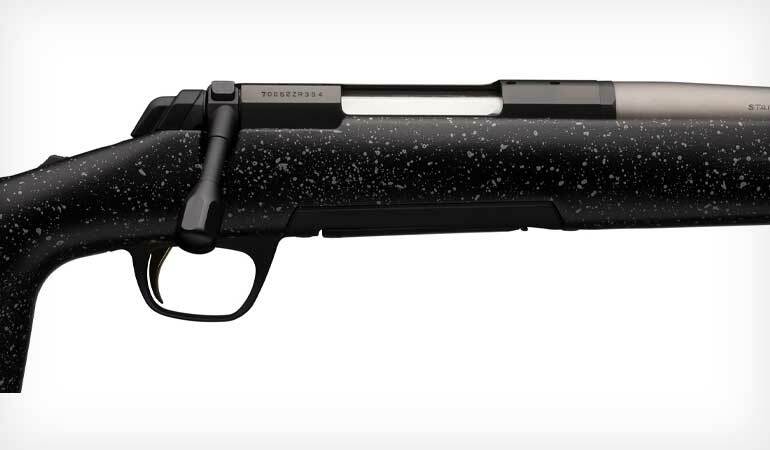 Spacers are included to adjust the length of pull and an upright pistol grip optimizes finger-to-trigger reach. Three swivel studs allow the installation of both a sling and a bipod. The horizontal surface on the bottom of the buttstock sends the rifle straight back when shooting from bags, helping to keep the target in the scope so shooters can watch for bullet impact. Bedded into the Max stock is the X-Bolt action with matte blued finish that is drilled and tapped for scope mounts. An extended bolt handle makes it faster and easier to operate the bolt. The hand chambered, fluted, 26" stainless steel barrel includes a removable muzzle brake that is threaded 5/8"-24 TPI to accommodate a suppressor. A thread protector is included when the muzzle brake is not in use. Available in a variety of short- and long-action calibers, the X-Bolt Max Long Range is available for an MSRP of $1,269.99-$1,329.99 depending on caliber. For more information on Browning products, visit www.browning.com.